Our first morning in Shanghai started with a delicious breakfast in the hotel JW Marriott Shanghai. After breakfast, we started our sightseeing tour. We drove by coach to the Yuyuyan Garden, which is located in the center of Shanghai’s old city. During the visit of this beautiful place, our guide gave us some additional information; the Yuyuyan Garden was finished in 1577 by a government officer of the Ming Dynasty for his parents to spend a quiet and happy life in their old age. 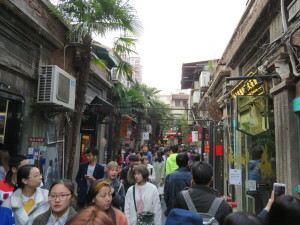 Afterwards, we had time to walk along the streets of the Yuyuyan market, which has over ten shopping streets. There, we had the possibility to buy different souvenirs and local snacks. The sightseeing tour proceeded with the visit of the Jin Mao Tower, which is 420.5 meters tall and the 3rd highest tower in Shanghai. The building of the Jin Mao Tower was completed in 1999. 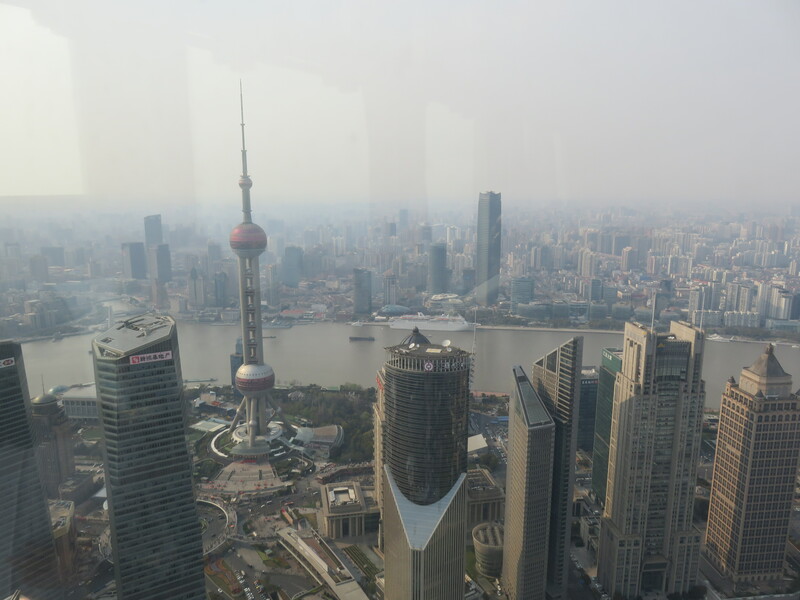 From the top of the tower we had a beautiful view on the Shanghai’s skyline and a great view on the Shanghai Tower. 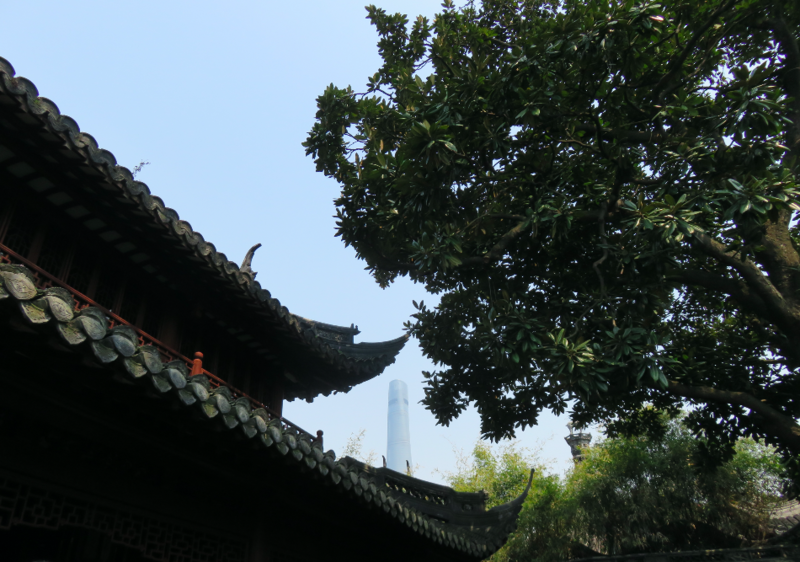 The Shanghai Tower is with a height of 632 meters, China’s highest building and the 2nd highest tower of the world. 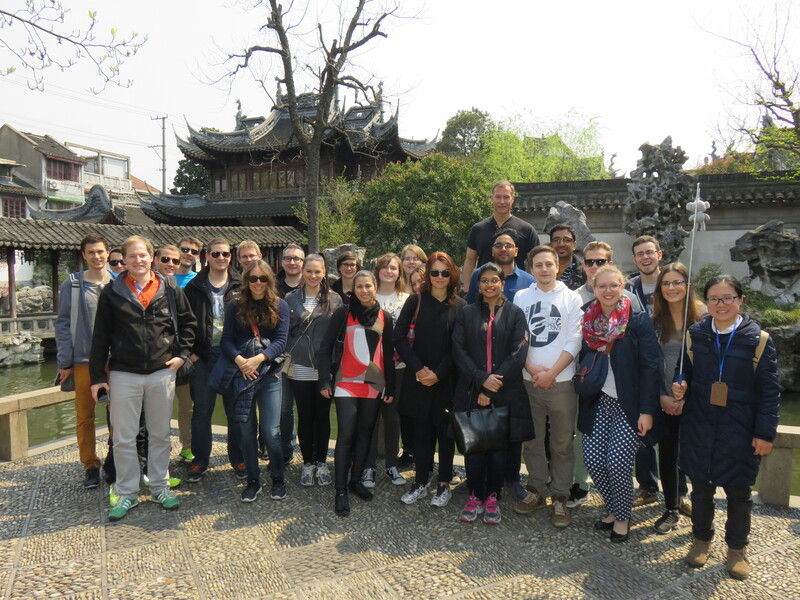 The sightseeing tour ended with the visit of Tianzifang, which is an area in the French Concession. With all its coffee shops, small craft stores, trendy art studios and narrow alleys Tianzifang is a great place to stay, to buy some souvenirs and to drink a coffee in one of the numerous coffee shops. In the evening we went for dinner to an Italian restaurant, where we enjoyed various delicious starters and each of us had a typical Italian main dish like Pasta or Pizza. Finally the weekend has arrived. After a week of amazing insights in Beijing and Lanzhou, the delegation of Insight China had time to relax and time to reprocess the last couple of days’ impressions. Shanghai is a port city on the Huangpu River, where the Yangtze River empties into the East China Sea. Shanghai is the largest city in China, which equals four times London, eight times New York or 60 times Paris. 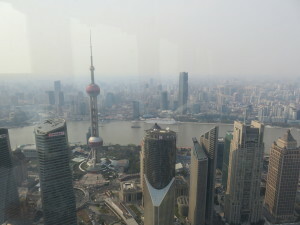 Besides, Shanghai is an important place for the country as the economic and financial center of China. According to our tour guide, Katherine Yin, residents spent most of their money for their apartments and for their licence tag. From last year’s statistics the cheapest licence cost about 38’000 RMB. This city is completely different to what we have experienced during the last nine days in China. Shanghai seems to be much more developed and internationalized than Beijing. Suddenly, trees have leaves, parks are in flower and the air is fresh. Also the traffic and the noise on the streets seem to be much more organized compared to what we experienced in Beijing and Lanzhou. Travelling around China with the bus is exhausting and Chinese streets are comparable to a roller coaster. Everywhere, you can see traffic lights and at any time the bus is surrounded by cars which do not stop pushing their horns. A Saturday morning without official program does not mean there is nothing to do in Shanghai. While some of the delegation members enjoy their beauty sleep, others enjoy the feeling of being a king while eating their breakfast and gazing at the skyline of Shanghai. During our bus transfer to the city center our tour guide, Katherine Yin, told us some important Shanghainese words such as “Good morning” – “Zao shang hao”, “How are you” – “Nong hao wa” and “Thank you” – “xiaya”. Furthermore, she told us about how she grew up and gave us interesting insights of her culture.